My account was disabled becuase I reached the limit of 10 secure submissions yesterday 30th November despite me having made attempts in the middle of last month and unclicked the secure form box-I took off the secure form option on the form so it would stop counting as secure form transmissions, and it still disabled my account. I'm no longer using secure forms. How do I reactivate my account with out having to pay. I still have plenty under the 100 submissions limit. As today is beginning of new month December 1st Please help!! The quota on your account has been reset the forms are working fine. Once you log in to your JotForm account you will see that the counter is back to 0 reflected in the Account Status. Can you send us the url where the form was added? Pulling up the forms directly using jotform url works fine otherwise. 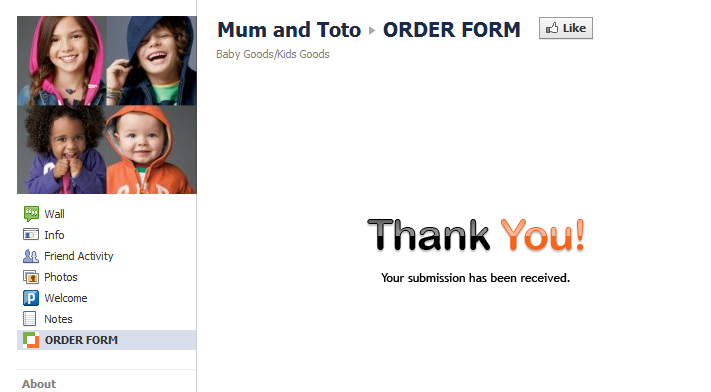 Thank you for providing the url, I visited the facebook url and was able to view the form. I was also able to make a submission which was successful. At this point I was still unable to replicate the said error. Have you tried clearing browser cache or cookies? how do I clear browser cache or cookies? Can you try a second browser if it is still doing the same thing on your end? I myself was able to test it and the form is looking the way it should. Further, you may try accessing that page in another computer(proxy) or try BrowserStack as it allows you to get another perspective on how your form appears from another location/computer. Please disregard the last submission since it was conducted for testing.